Roll the dice in a fashionable way. Tattoos are everywhere now and not just one or two, people are getting multiple tattoos all over. Like they say, once you get addicted, you cannot stop. You don’t have to stop and we won’t let you run out of ideas also. 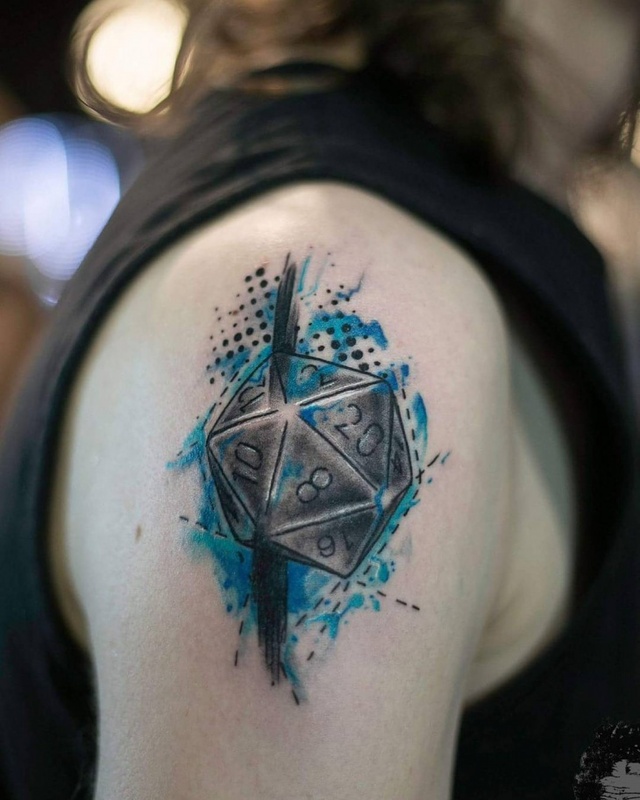 Here are top 10 dice designs that you could get tattooed. Tattoo it and flaunt it. Are you the kind of person who likes to keep it plain and simple? Well this has got to hit the spot. 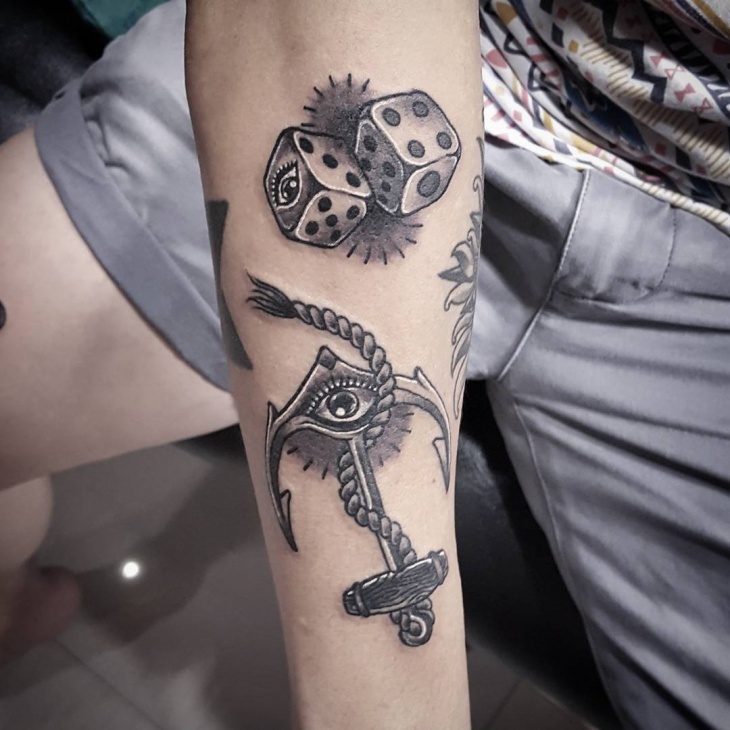 Two minimal sized dices with good shading is perfect. It is not too loud, subtle yet visually appealing. 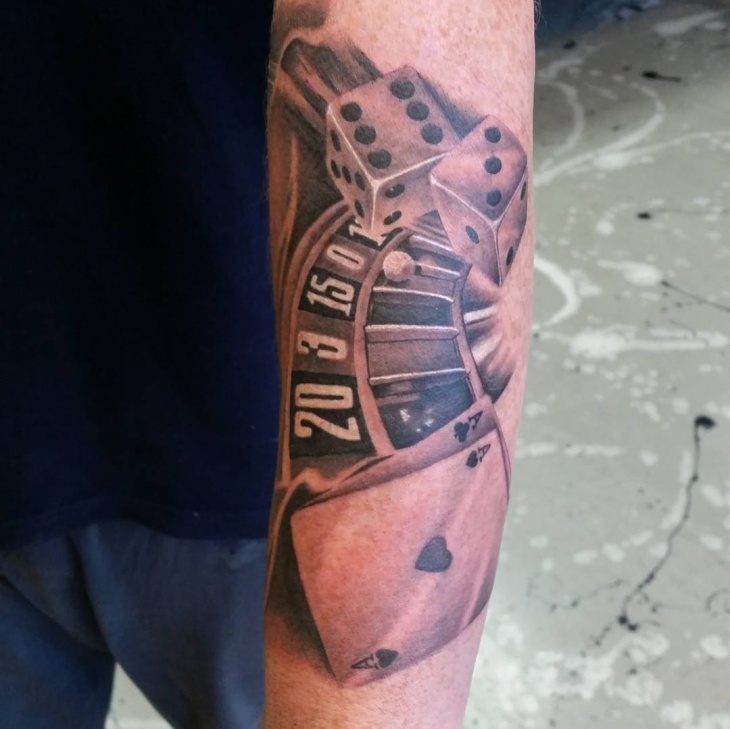 Among all those different designs, it is not difficult to spot the two dices with perfectly done shading on to it. It is so well placed among all the other designs on him. Well if we get the right numbers, the dices are lucky for us. 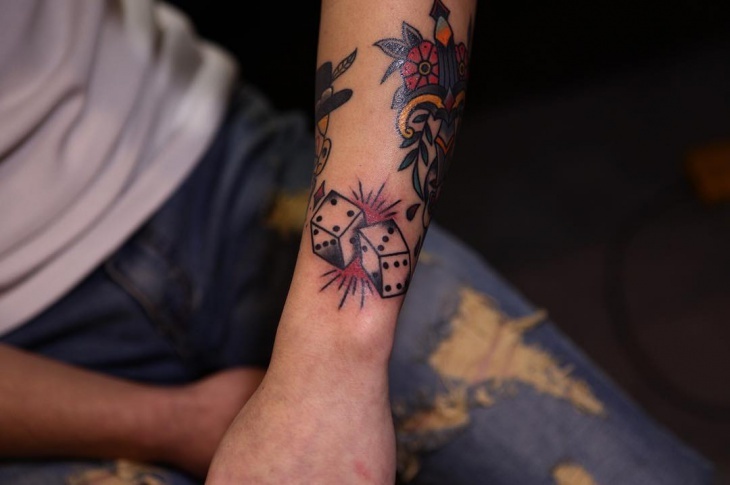 In this case the dices are tattooed in the form of luck. It is simple and to the point, dices with not much work on to them but with a lot of work around . Any gamblers out there? 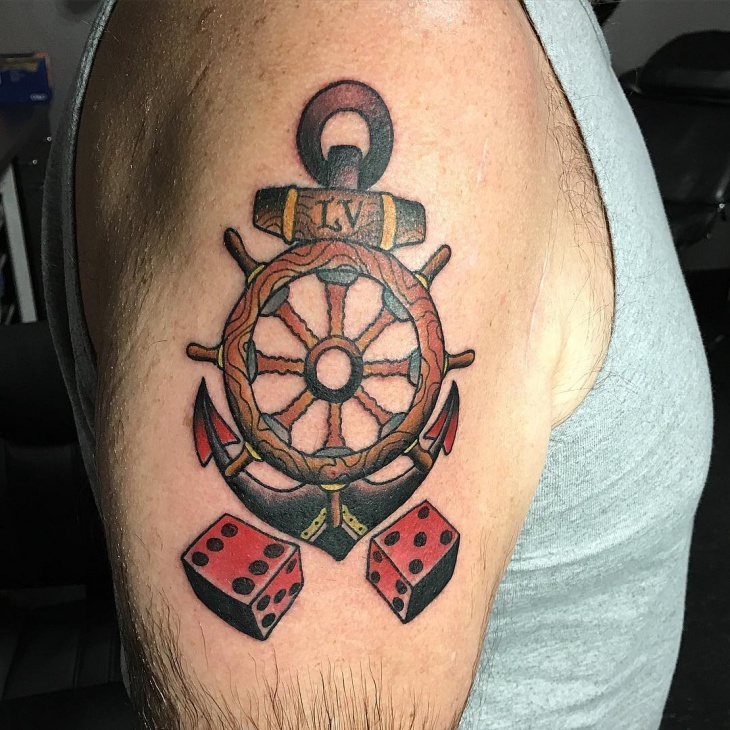 Well one should not get addicted to gambling but here is the thing, we can get addicted to a tattoo so why not get some cards and dices and win this game called life. 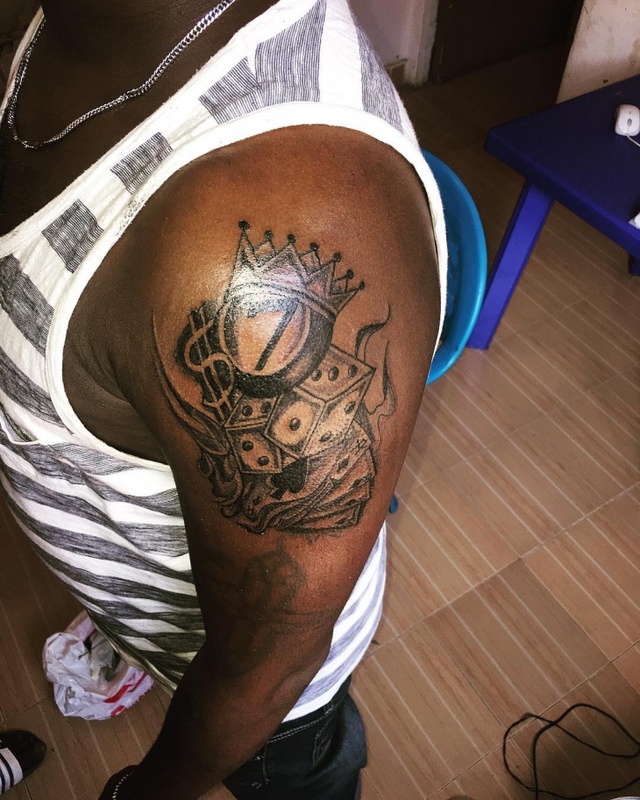 We have got to love this crazy design and we would recommend it to you too. Something hot is definitely steaming, we can see but can you? 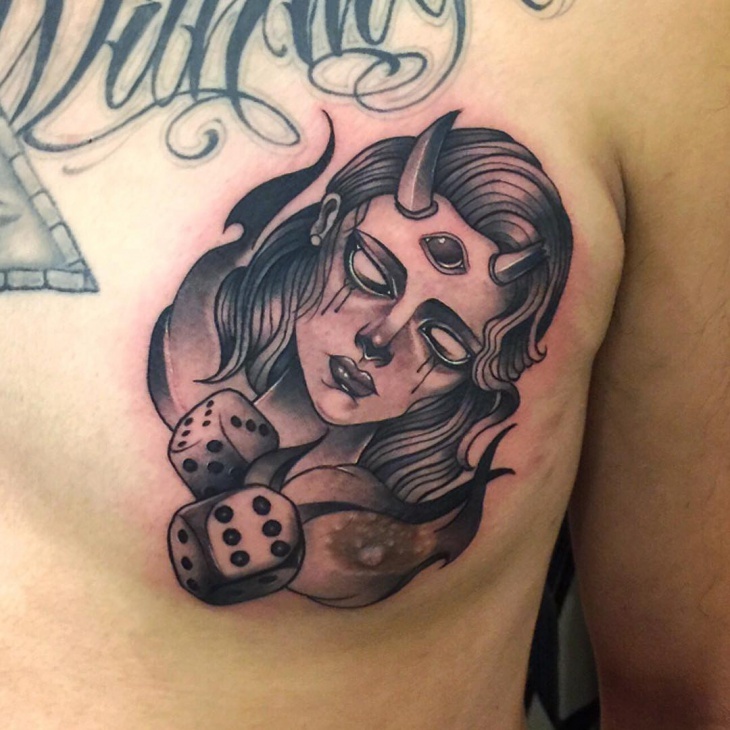 This dice with smoke tattoo is something that caught our attention and we think it looks hot. 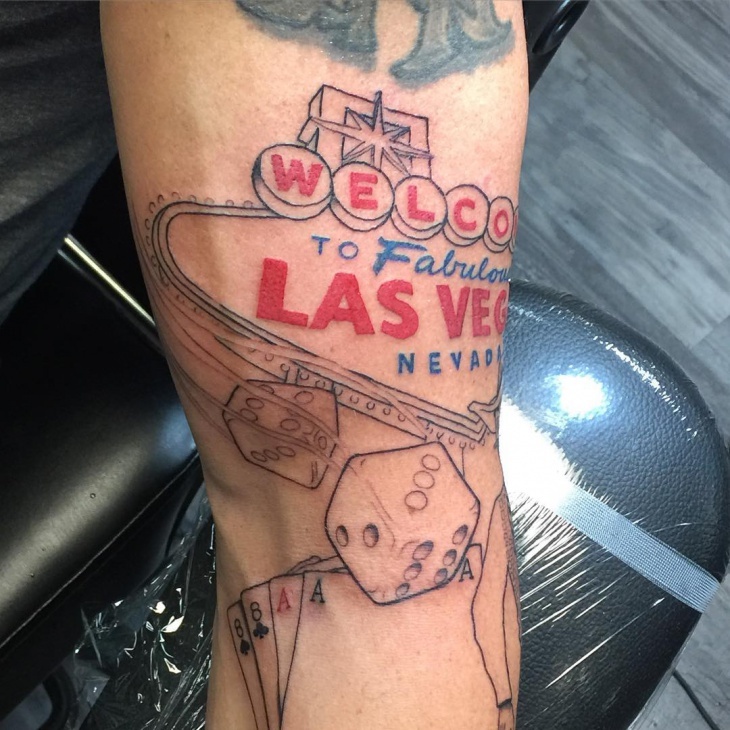 The design and shading is done to perfection and has pretty much nailed it in every aspect. 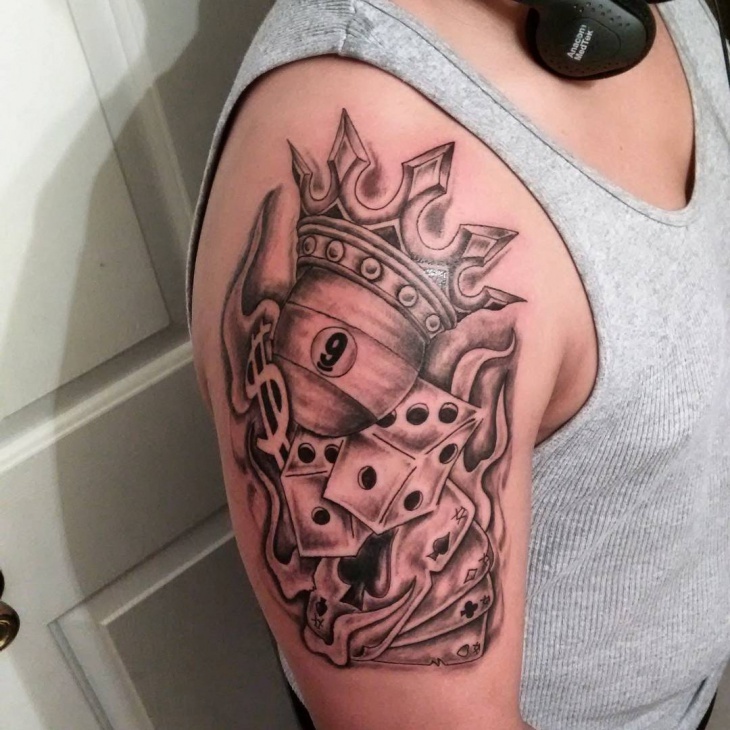 You feel like you are on top of the world with the poker dice crown tattoo. 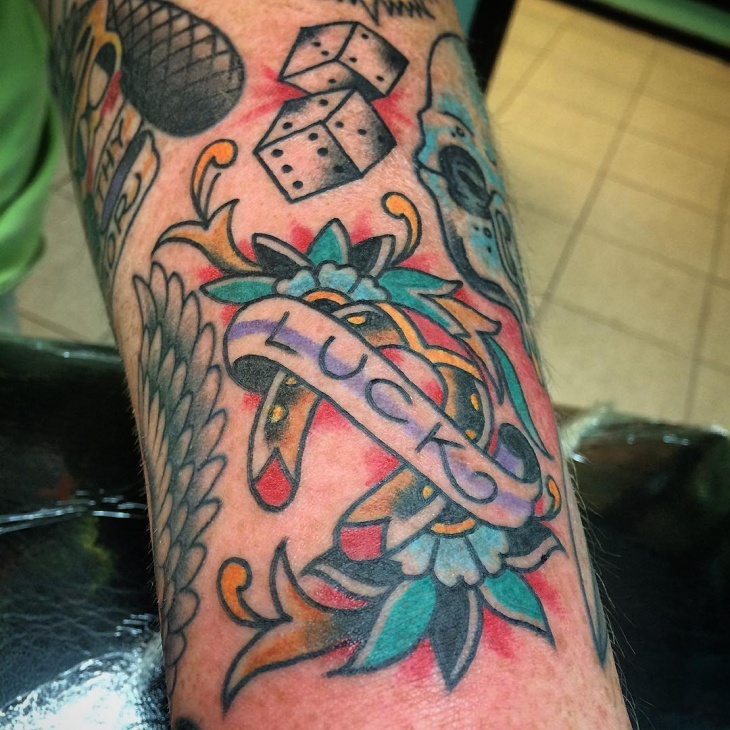 Imagine all your favourites things can be done into one tattoo. The design is thought about so well and the work on it is done so beautifully. 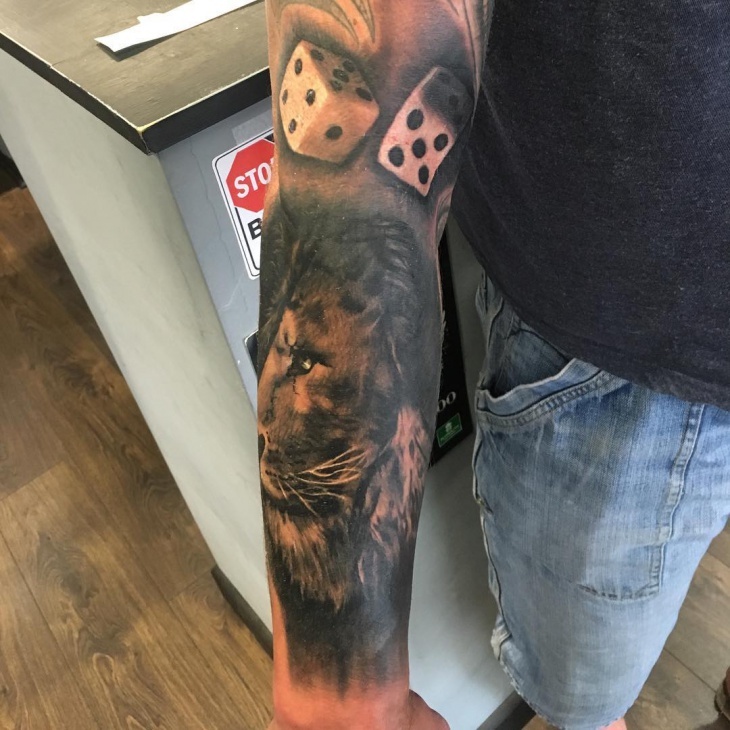 Every dice has got to be associated with money. 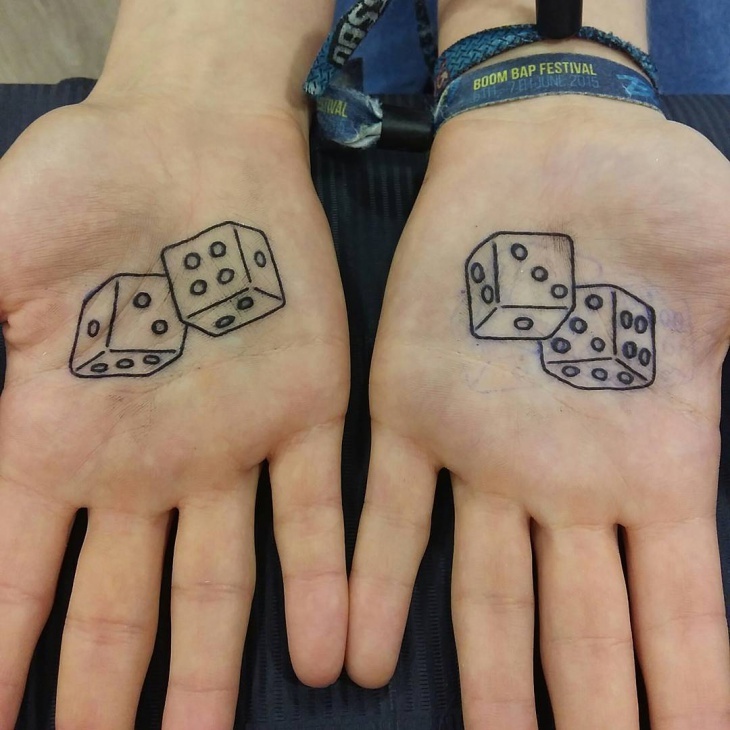 Gambling involves a lot of dices and luck. So, you have the jackpot machine, money and your dice. 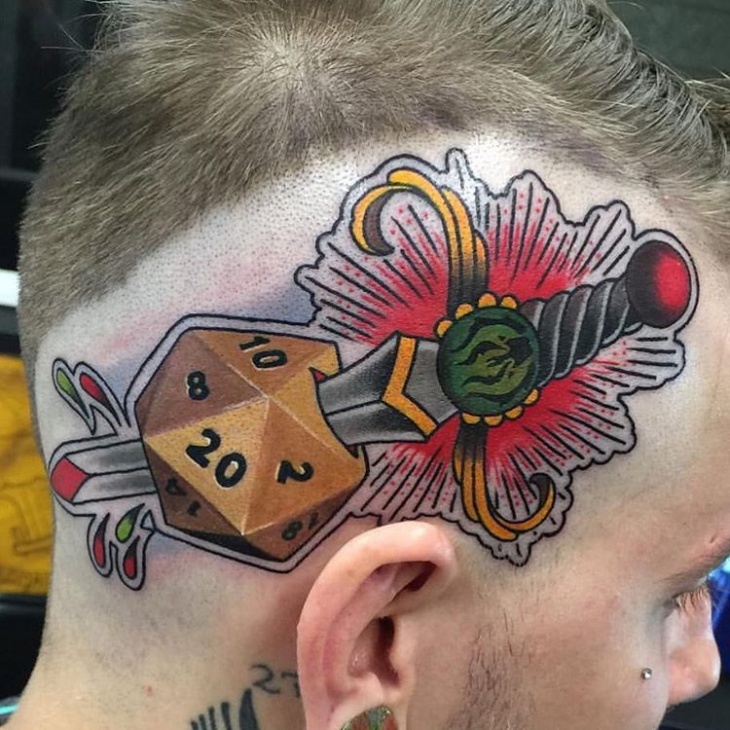 How are you going to roll this one to get some luck? 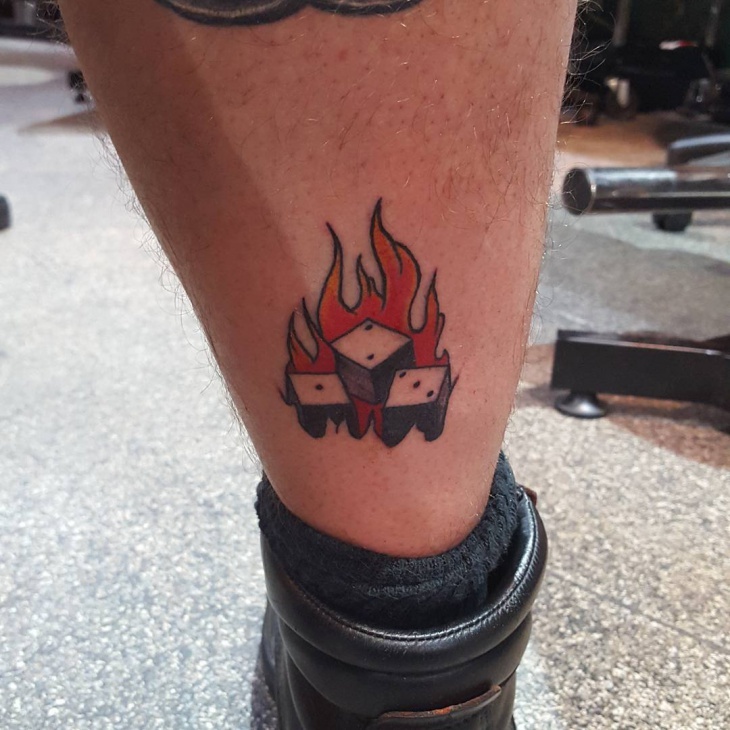 Simple three dices, one two and three respectively written on them and it’s all blazing into a fire. 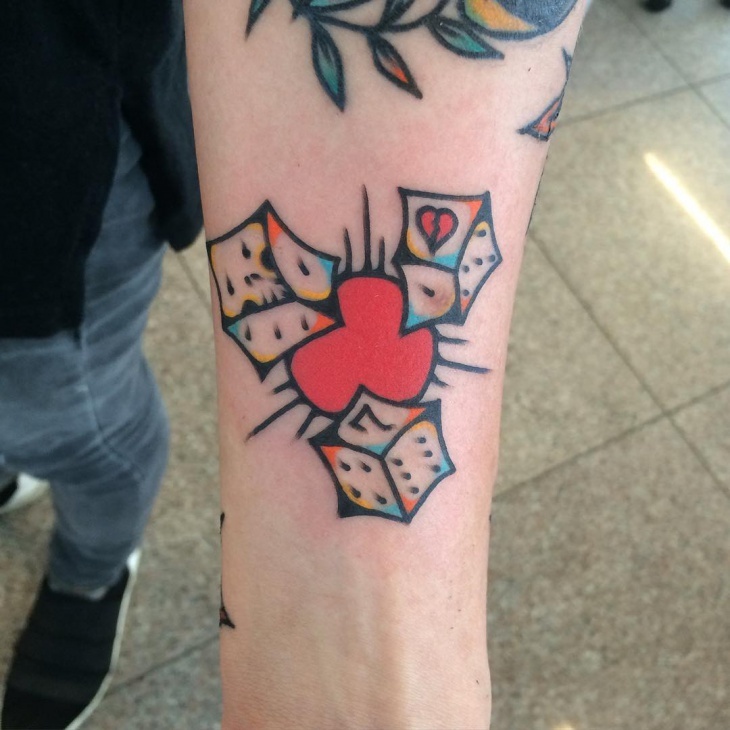 We love how simple this tattoo is kept yet there is something different about it. The dices look like they are sinking into the fire. We would recommend this to someone who likes keeping it simple. 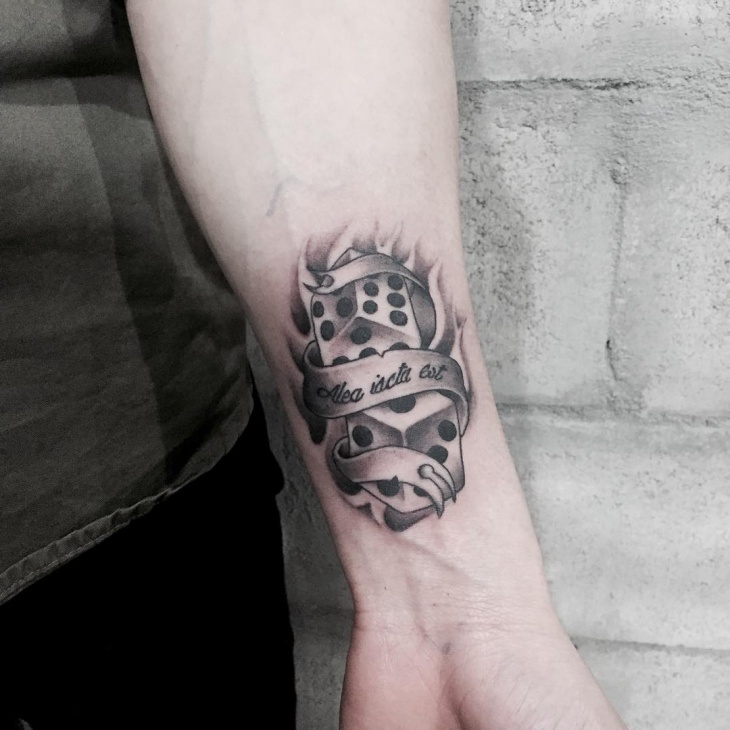 This tattoo is again associated with money cards and two dices. 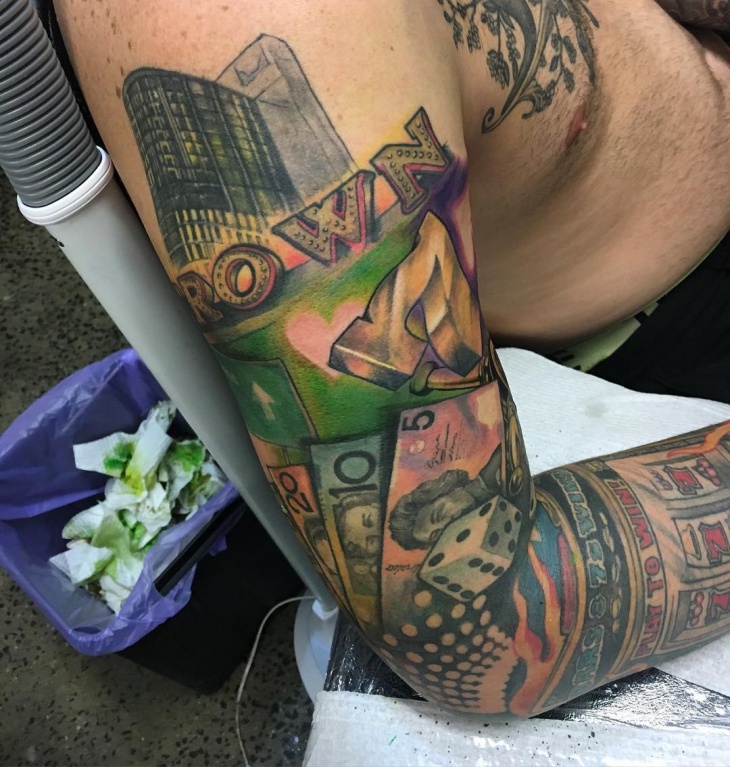 This can be an option if you like getting big tattoos. 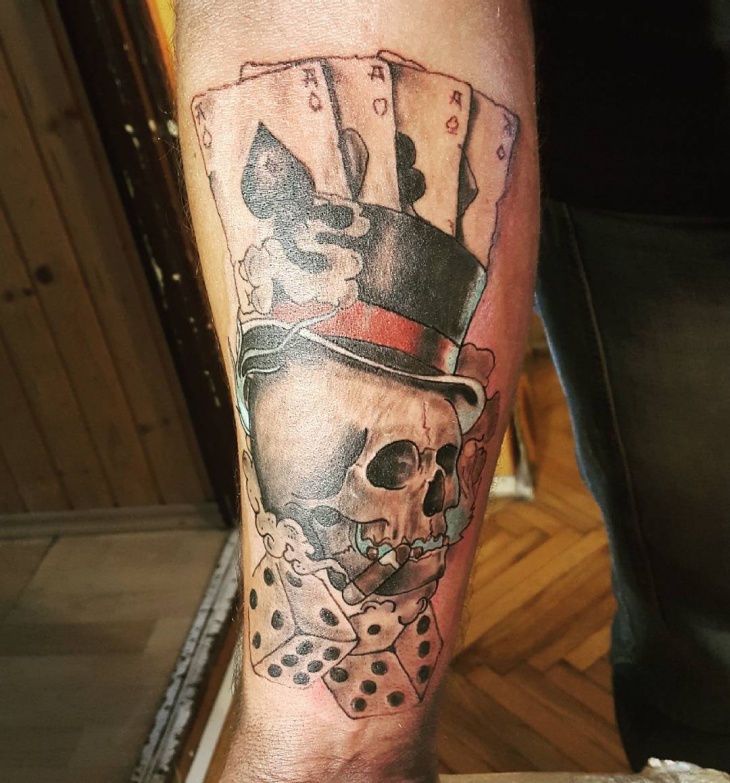 The design has a skull with cards and two dices at the bottom. This is a very different design when compared to the others. A lot of the others included money and gambling but this just indicated a sign of chilling in style. 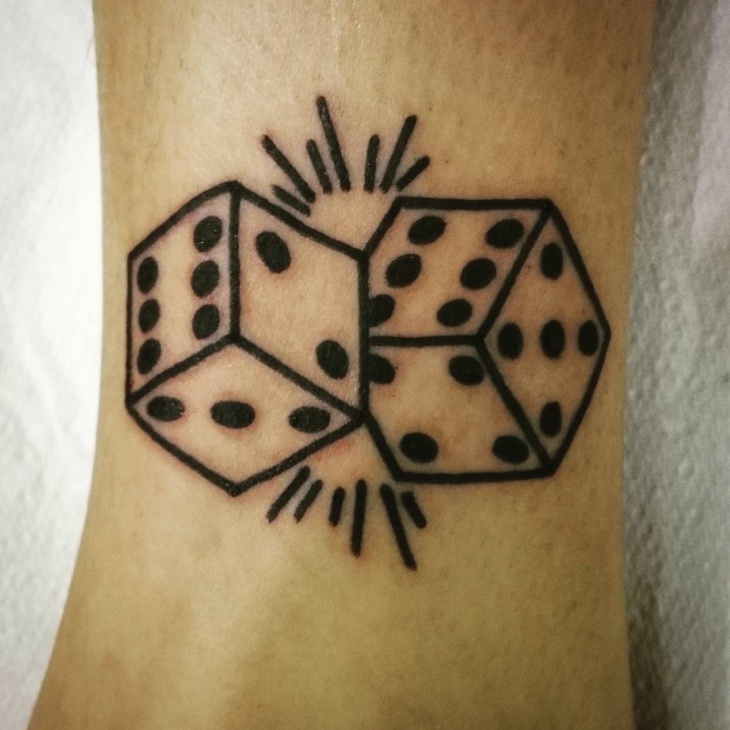 These are twenty designs for dices that we loved and we think you’ll love it too. Small or big, we have got different options for you.